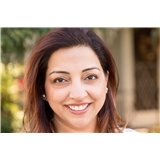 Nidhi Pai, DDS (Rejuvenate Dental) (Palo Alto) - Book Appointment Online! Welcome to our Dental office where Dr. Nidhi Pai and specialists provide exceptional dental care. We offer general, cosmetic, and specialist services General & cosmetic - Invisalign, veneers, teeth whitening, crowns, filings, teeth cleaning Endodontics - root canal Periodontal - gum disease Oral surgery - implants Dr Nidhi Pai is part of Standford school of medicine's cranio-facial plastic surgery department specializing in dental issues related to jaw and mouth. She is also an Invisalign Preferred Provider. At our clinic, you’ll receive personalized, state-of-the-art treatment in a warm and caring environment. We take the time to answer all your questions, provide you with important information about your oral health, and work hard to build a relationship based on trust and respect. We look forward to meeting you. AMAZING! So happy I found her!